It never really occurred to me that a prayer is what starts off good kid, m.A.A.d city. Unlike DMX, who would pray on his albums with a pain-dripping bark that engulfed ears, the boys Kendrick chose to pray on his opening track seem like an insignificant detail once the infamous van begins to roll underneath the Compton street lights. 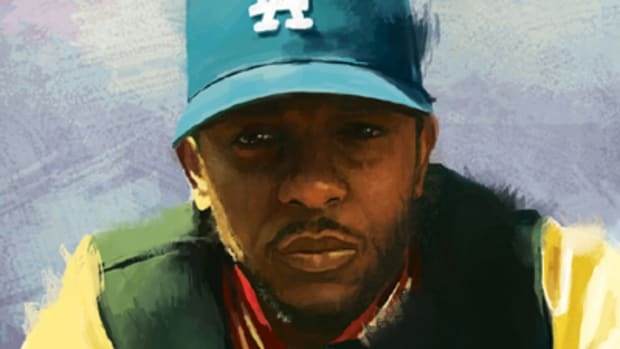 Bible study isn’t what has Kendrick Lamar out late with his foot pressed to the pedal; the church is far from his mind as he races to Master Splinter&apos;s Daughter. 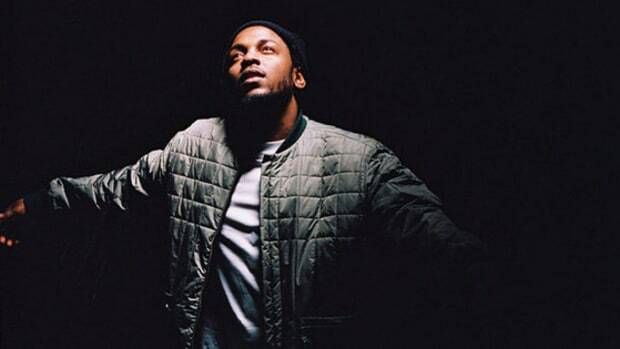 “Faith” dates back to 2009, when Kendrick first changed his name from K-Dot and released the Kendrick Lamar EP. It was a fresh start and an adaptation of a more personal approach to his music and introducing the concept of the good kid. With each album, as he grew into a notable name in the industry, Kendrick’s faith has only grown with his acclaim. Overly Dedicated has “Heaven & Hell,” a brilliant but incomplete perspective of the good and bad based on Kendrick’s perspective. It fades away before completing his visions of Heaven. After Section.80, he spoke with MTV who asked about his religious upbringing due to the song “Kush & Corinthians.” His response was what you&apos;d expect from someone rather young, who is still in the religious stage of asking questions. He goes on to say that he’s a sinner who&apos;s trying to figure it all out, a mindset that could easily have inspired the hook for “Don’t Kill My Vibe.” It’s not obvious, but “I am a sinner, that’s probably going to sin again” is one of the most religious hooks that isn’t outwardly Christian to hit the mainstream in some time. You don’t even notice when singing along. Kendrick is jokingly baptized by Mike Epps in what appears to be a traditional church pool in the “Don’t Kill My Vibe” music video except it’s a pool full a liquor, a nod to “Swimming Pools.” While the mock baptism was good for a chuckle, Kendrick made headlines during the L.A stop on the Yeezus tour when he announced that he was recently baptized while shouting out his Bishop. There’s something humorous about Kendrick being on the Yeezus tour with the man that went from singing “Jesus Walks” to bringing him out on stage and deciding that now it’s a good time to be saved again. Where was his mind at? To do it while on tour makes the action seem urgent as if he couldn’t wait another day. 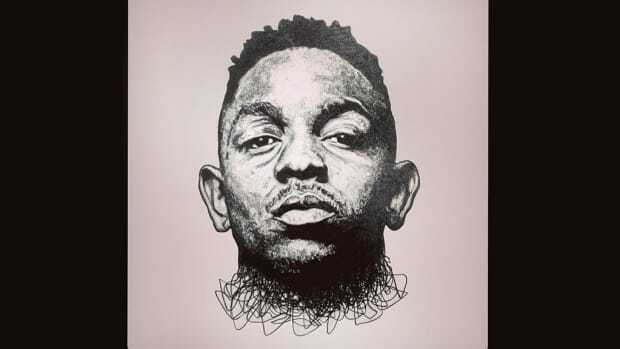 Three days before the release of GKMC Kendrick recorded "The Heart Pt 3," a song where he confronts the pressures of his position, someone not only looked upon as Tupac’s successor but a shining beacon of hope for hip-hop’s future. 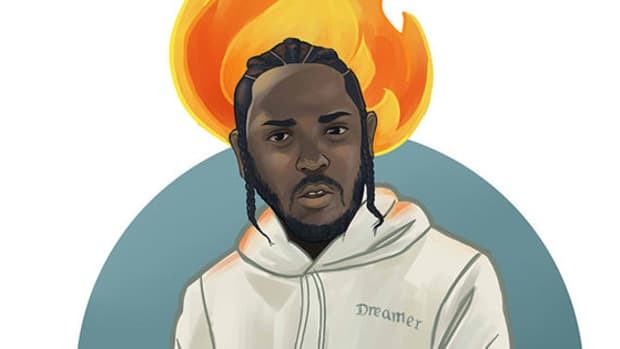 “Enough pressure to make you just open the Book of David,” he raps toward the end of his first verse, indicating that he sought comfort in the Bible and not worldly vices to deal with all the stress and strains of his upcoming album debut. In his 2013 GQ Rapper Of The Year profile, journalist Steve Marsh begins the article by mentioning how he’s unable to locate Kendrick. No one from the either label, TDE and Interscope, knew where he was. He was coping with the death of Chad, the friend he would later mention in the song “u,” who was shot and wounded but held on for a month before passing. 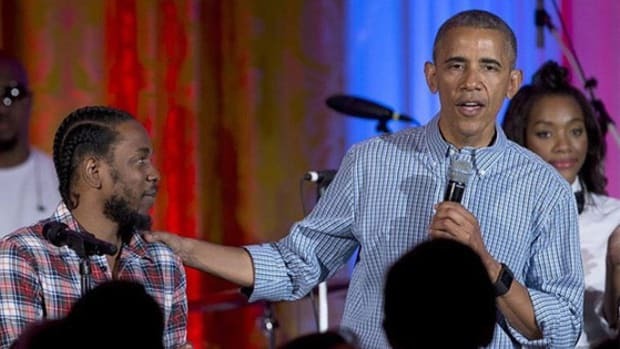 Kendrick was overseas at the time, the last time they spoke was on Skype. Imagine this burden while in-route to New York City’s fall Fashion Week. It takes you back to “Faith,” the juxtaposition of feeling near heaven but reality reminds you of the hell that awaits back at home. You can see how these events sparked the survivor&apos;s guilt that would be a huge topic on To Pimp A Butterfly. His life had changed, he was facing new pressures from inching closer to super-stardom, but bad news was never far, it could’ve easily pushed him toward a darker solution, but these trials likely brought him closer to God. Which is why his faith plays such a crucial role in TPAB. Kendrick reached a mindset through his beliefs that are soaked into his music but unlike Kanye, he doesn’t have a “Jesus Walks” single that commercially and openly displays his beliefs. Kanye was worried about God taking away from his spins, Kendrick doesn’t seem to have that kind of doubt, God is the one who brings the spins. Instead of centering his faith into one single, he spread it across the album, wrapped in metaphors and allegories, even without a prayer it’s obvious that TPAB was made by a Christian man. It’s done subtly, details so small that they can easily go unnoticed. Instead of saying that Lucifer, the devil that fell from heaven, is the one that’s trying court him, he creates the character Lucy, a woman that has the same purpose but doesn’t have the same harsh imagery. You can’t make jokes about I Love Lucy with Lucifer but they are one and the same. 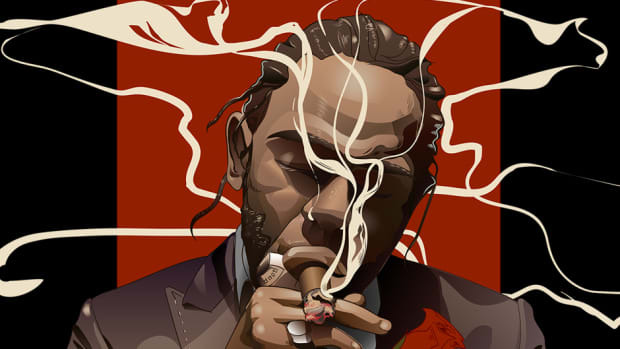 Instead of making God into an omnipresent deity that brings him to salvation, Kendrick uses a homeless man to be the figure for the big man that lives beyond the clouds. “How Much Does A Dollar Cost” is done masterfully, the way he transitions from placing judgment on a man he assumes is panhandling for money to being judged by his father in heaven. It’s incredible storytelling and artistry and also very Christian. God finds ways to speak to you through others, like the lady from GKMC, or the homie from “Average Joe” that kicked Kendrick out the car when he was prepared to ride on the bangers that shot at him. His life has been full of angels but he chose a homeless man, someone we see every day to play the role of God. The many interviews that came before and after TPAB showed Kendrick speaking more openly about his relationship with God. When he spoke with the New York Times he considers himself the closest thing that some fans have to a preacher, a realization that came while being on the world tour. He explained that he’s a vessel for God’s work, two very strong statements. Many have cited the music industry as an evil place where souls are lost due to green, fame, and worshiping the material over the spiritual. In Kendrick&apos;s case, he underwent a spiritual awakening, an enlightenment that was always there but dormant. Reading the lyrics, it’s a surprise Kendrick hasn’t been labeled a Christian rapper. Like all genre labels there&apos;s only one rule that applies to everyone, but neglecting the temptation of radio and club success because you&apos;d rather use your voice to speak for the Lord should be on the list. 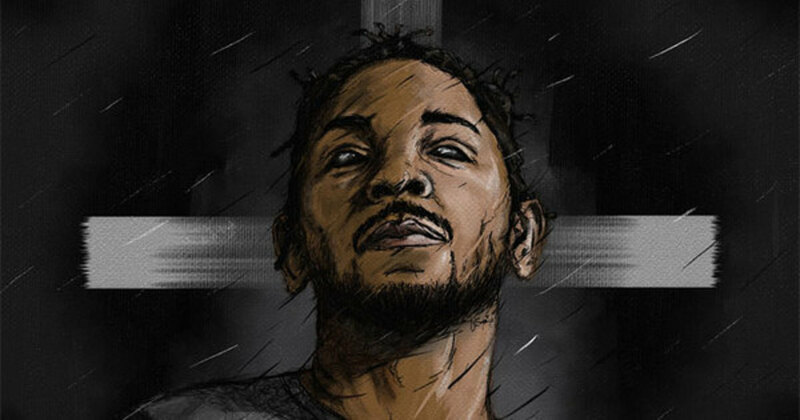 He basically admits that TPAB was an album he made for God, which connects with the mentality of being a preacher for the fans. When Kanye announced his TLOP as a Gospel album no one knew what to expect. 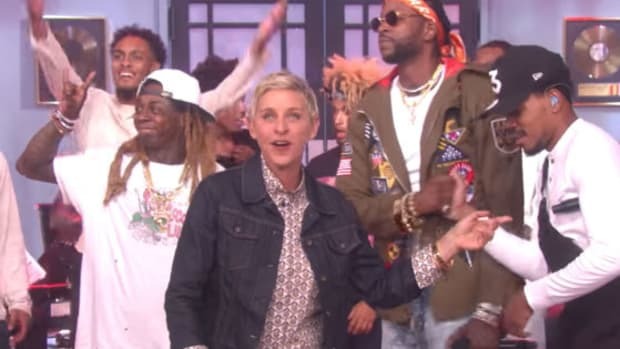 With “Ultralight Beam” as the intro—soulful, choir, Kirk Franklin feature—you assumed that it was the album’s blueprint until you hear him rapping about bleached assholes. It’s one gospel song, not a gospel album, but that’s Kanye, he has to make a big statement. Kendrick doesn’t have to scream at us so we realize his faith in God. You see it in Chance The Rapper’s music as well, many references to the church and God fills songs like “Sunday Candy,” “Israel,” “Angels,” “Warm Enough” and “Heaven Only Knows,” but he has never been labeled as a Christian rapper. 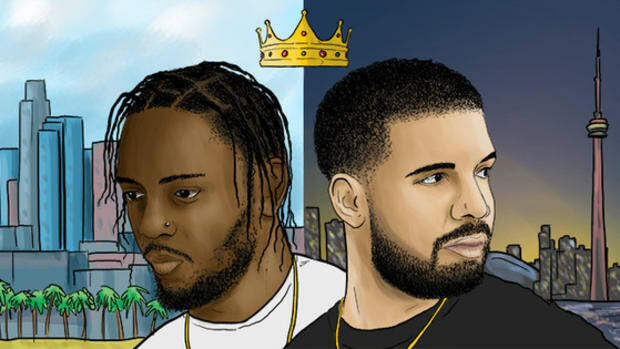 Very few rappers are giving the glory to God on the same scale as Cornrow Kenny and Lil Chano From the 79th. I was 19, walking through Atlanta’s Lenox Mall, window shopping like 50 Cent in 2005. A man approached me, well dressed and seemingly rather harmless. He asked me what I knew about Jay Z. I answered as if I been studying Jigga for Black History Month throughout grade school, I know Jay Z better than I know myself. I finish, expecting to get free concert tickets or maybe an invitation to a trivia rap game show. Imagine my surprise when he followed up my response with, “So what do you know about Jesus Christ?” I could talk about the Church of Hov all day but the Church of God was a different story, there’s a reason why I’m not a gospel music journalist. If he would’ve started the conversation about Jesus, I probably would’ve searched for an immediate way out, but Jay was different, it was a rap discussion, not a religious confrontation. That’s what Kendrick does. He just raps and we love it. He doesn’t worry about labeling himself or announcing that this album is gangster rap and this album is gospel, that would put him in a box, allow people to make judgments before pressing play. It’s actually genius—not every artist is able to maneuver without labeling but Kendrick continues to evolve and transform so that it’s impossible to know what he will do next. Even if he isn’t considered a Christian rapper, Kendrick has become one of the biggest rappers of our age. The man of the people but also a man of God. God&apos;s emcee, not the God emcee. By Yoh, aka Yohzus, aka @Yoh31.